Ilan and Natz share a moment together. Next up was another local band, Rusika, with vocal Natz on guitar, Ilan on bass, and Alfred on drums. 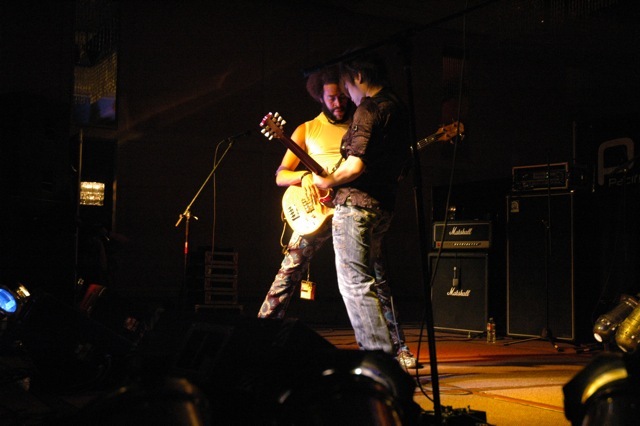 The band combined Japanese rock, punk, pop, ballads and a touch of metal to create their unique sound. 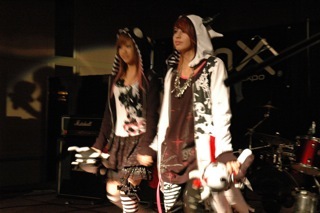 Rusika performed several powerful songs on stage at PMX, and their energy wowed the crowd. 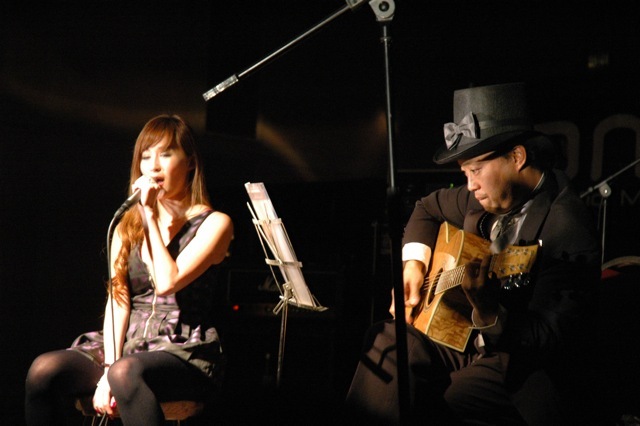 Rusika performs at anime/j-rock cons nationwide and also hosts a monthly j-rock night in Downtown Los Angeles. The concert incorporated the Hangry & Angry fashion show at half time. 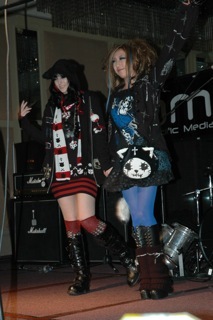 Special guests Miri and Nagi of the new Sakedol group Papillon joined with few other models showcased Hangry & Angry’s latest outfits and designs. Papillon then performed their set afterward. 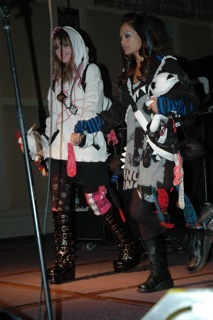 After Papillion’s set, Hangry & Angry did an encore fashion show. 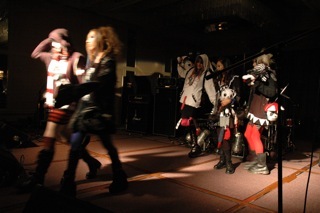 Miri and Nagi were on stage once again with the same group of Hangry & Angry models, followed by the special appearance of the Hangry & Angry designer Gashikon. 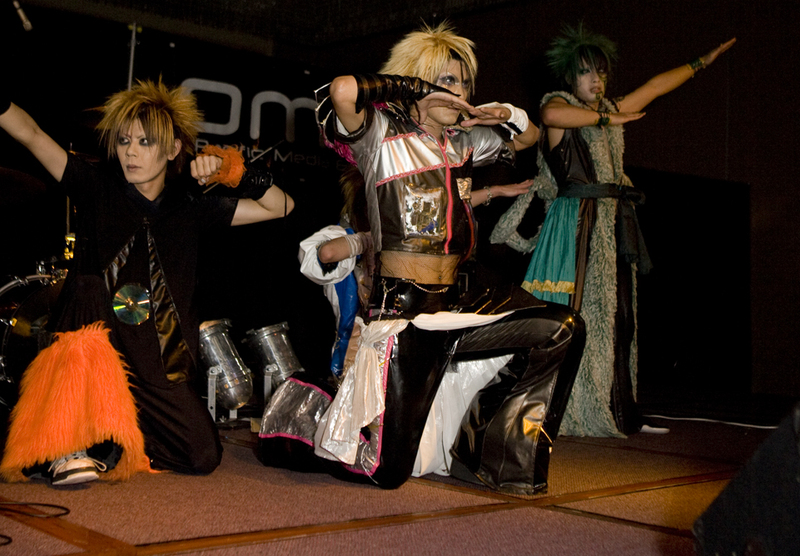 UchuSentai NOIZ then took the stage next. 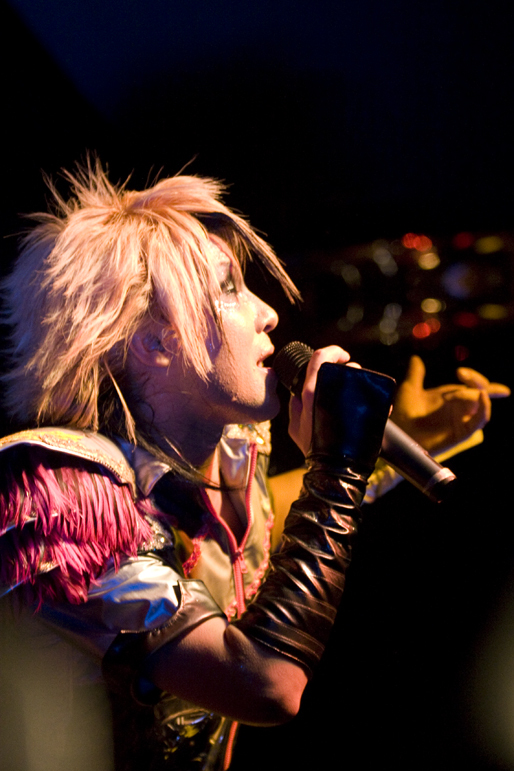 They are a visual-kei rock band from Japan and are famous for their energetic music, wild outfits, and amazing live shows full of energy. Relived life on the third planet of the solar system but lost his mortal life at a young age. It was Shiva’s intention that he be combind with nanomachines. As half-man, half-machine, he began life anew and bringing his angel-voice to earth. An android created by earthlings with no will of his own, he follows the orders of his master. A knight from planet Rosen, he is a qualified Space Police Officer. Member of of a secret special force from planet AB-Nine, currently standing under the banner of justice in compensating for his past faults. He is a creature from a dark comet. He joined Noiz for the sake of peace on Earth.